I took this photo today, April 1, 2012. 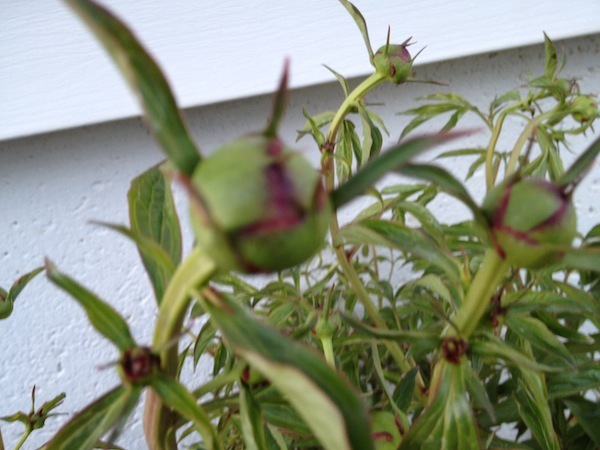 Yes – those are peony buds. On April 1. The temperature today at the airport maxed out at 87 degrees Fahrenheit. On my back deck, it hit 92 degrees. The climate, she is a changing. Image via "Weatherdem" from USDA and Arbor Day Foundation images. Hahaha, Mother Nature. Very funny. Uh . . . Mother Nature? You’re not laughing . . .